Communication industry has been stormed by the advent of fiber optic cable. The main advantages offered by these cables include a wider bandwidth, light weight, small size and in any case has more flexibility. In addition to it, the core reason behind its popularity is that advanced technology used by these cables. As we know the fiber optic cable, the fiber optic cable is a cable containing one or more optical fibers. The optical fiber elements are typically individually coated with plastic layers and contained in a protective tube suitable for the environment where the cable will be deployed. For example, the 10g fiber cable is has plastic layers and contained in a protective tube, we can offer different jacket color and any length are available for these cables . In fact, the whole fiber optic technology makes use of fiber optics. The typical fibers today are made out of glass or plastic since it is possible to make them thin and long. Also both glass and plastic are transparent at particular wavelengths, which allow the fiber to guide light efficiently. These optical fibers are thin, ultra-flexible and transparent and transmit the light between two ends of the fiber quality as compared to copper wire. So, with their superior technology these are more appropriate for smooth communication between far distances. In addition to it, the usage of these cables results in much less loss of signals which means uninterrupted and smooth communication. More than 80% of the distance data traffic through the intelligent use of these fiber optic technology is transferred. Other advantages of fiber optic cables include it is inexpensive and suits properly to extremely thin diameters in the range between 0.8mm to 40mm. Will be extremely thin, a number of fibers run together along many connections in the same cable. It provides a clearer telephone lines and TV reception, as the light signals that are in the same cable does not interfere with each other to function. This ultimately leads to less loss of signal. These cables can also be called as the safer ones because no electricity passes through these cables and hence there will not be any fire issues. In comparison with other lines such as copper wires, these cables are definitely the superior ones because they are lightweight and small sized. With the above advantages, it is obvious why fiber optic cables that are used in many telecommunications and computer networks. These cables are the most trusted and best replacement of copper cables. Know more about the various advantages of fiber optic cables info, or you want to buying some fiber optic cables to instead of your copper cables. You can visit the FiberStore company, we are the professional fiber optic cable manufacturer, we can provide the standard fiber optic cables and customize the optical cables, and provide related of cable products such as fiber patch cord, fiber optic connector, fiber testers and tools. Welcome to our company to choose your fiber optic products. This entry was posted in Single Mode Fiber (SMF) and tagged 10g fiber cable, fiber optic cable manufacturer, Fiber patchcord on November 15, 2013 by Amelia.Liu. Many questions tell us that it is important to protect the fibers.But how to protect the fiber cables,the first one is to know the fiber optic cable specifications,when we know it,we can protect it best. Cable’s job is to protect the fibers from the hazards encountered in an installation. Will the cables be exposed to chemicals or have to withstand a wide temperature range? What about being gnawed on by a woodchuck or prairie dog? Inside buildings, cables don’t have to be so strong to protect the fibers, but they have to meet all fire code provisions. Outside the building, it depends on whether the cable is buried directly, pulled in conduit, strung aerially or whatever. Since the plan will call for a certain number of fibers, consider adding spare fibers to the cable – Cost of fiber optic cable is cheap! That way, you won’t be in trouble if you break a fiber or two when splicing, breaking-out or terminating fibers. And request the end user consider their future expansion needs. Most users install lots more fibers than needed, especially adding single mode duplex fiber to multimode duplex fiber optic cable for campus or backbone applications.Now, let’s go to know the standard fiber optic cable. Core – A fiber optic’s center is made of glass, and this tube carries the cable’s light signals. Depending on the type of fiber optic cable (single mode or multi mode), the core varies in size. Single mode duplex fiber consist of a tiny glass core that typically has a diameter between 8.3 and 10 microns. This type of cable is usually installed for transferring high speed data over long distances. For multi mode fibers, the core is larger. Their core size ranges from 5 to 7 times larger than single mode cores. With a diameter ranging between 50 to 62.5 microns, multimode duplex fiber optic cable is perfect for high data applications. Multi mode cables are typically used over shorter distances than single mode fiber optic cables.FiberStore provide the hot seller multimode cable–OM4 multimode fiber and OM3 multimode fiber. Cladding layer – Also constructed of glass, this “core cover” is used to keep the light in the core. When transmitting data (especially over long distances), light rays can reflect off each other and travel in different directions. The cladding keeps those signals straight. Buffer – Also called the buffer coating, this sleeve protects the core and cladding from foreign material (FM) such as outside light, moisture, dirt and other substances. More often than not, the buffer is made of plastic. Jacket – The fiber optic’s cable exterior is typically made of tough, durable polyurethane. Its job is to protect the overall integrity of the fiber optic cable. The jacket is the first line of defense in a fiber optic cable. Routing cables can put stresses on a fiber optic cable (kinks, knots, etc.) and a jacket sometimes contains an extra layer to avoid these potential hazards. For more info about the fiber optic cable,pls focus on fiber optic cable manufacturer—FiberStore.Thank you! This entry was posted in Single Mode Fiber (SMF) and tagged fiber optic cable manufacturer, multimode duplex fiber optic cable, OM4 multimode fiber on September 27, 2013 by Amelia.Liu. The burst out in demand for bandwidth in enterprise networks is driving an urgent need for higher Ethernet network speeds. There are several factors, including broadband penetration fueled by video-rich content, Data Center demands, and exponential growth in super computer and R&D computing activities. Laser optimized multimode fiber is recognized as the medium of choice to support these high speed data networks. With next-generation 40 and 100 Gigabit Ethernet speeds on the horizon, the industry is developing a new type of multimode fiber, called OM4, there is now a standard that is specifically targeted at this product. Prior to the standardization of OM4, these higher bandwidth fibers were sold as a part of OM3.Which will offer a minimum effective modal bandwidth of 4700 MHz-km at 850 nm, compared with 2000 MHz-km for OM3 fiber optic cable. OM4 fiber is a 50 μm laser-optimized fiber with extended bandwidth. It is designed to enhance the system cost benefits enabled by 850 nm VCSELs for existing 1 and 10 Gb/s applications as well as future 40 and 100 Gb/s systems. OM4 fiber supports Ethernet, Fiber Channel, and OIF applications, allowing extended reach upwards of 550 meters at 10 Gb/s for ultra long building backbones and medium length campus backbones. With an Effective Modal Bandwidth (EMB, also known as laser bandwidth) of 4700 MHz-km (more than double the IEEE require-ment for 10 Gb/s 300 meter support), OM4 fiber is also especially well suited for shorter reach data center and high performance computing applications. Why is it called OM4 and the relationship with OM1,OM2,OM3? • OM3, for laser-optimized 50 μm fiber having 2000 MHz-km effective modal bandwidth (laser band-width), designed for 10 Gb/s transmission. For many years 62.5/125 µm (OM1) and conventional 50/125 µm multi-mode fiber (OM2) were widely deployed in premises applications. These fibers easily support applications ranging from Ethernet (10 Mbit/s) to Gigabit Ethernet (1 Gbit/s) and, because of their relatively large core size, were ideal for use with LED transmitters. Newer deployments often use laser-optimized 50/125 µm multi-mode fiber (OM3). 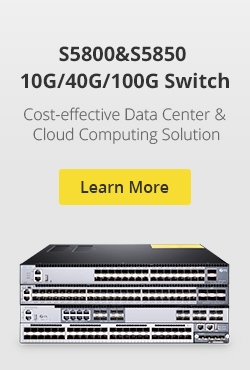 Fibers that meet this designation provide sufficient bandwidth to support 10 Gigabit Ethernet up to 300 meters. Optical fiber manufacturers have greatly refined their manufacturing process since that standard was issued and cables can be made that support 10 GbE up to 550 meters. Laser optimized multi-mode fiber (LOMMF) is designed for use with 850 nm VCSELs. Today, this evolution continues with the development of OM4 multimode fiber as the industry prepares itself for speeds of 40 and 100 Gb/s. What are the standards that define the use of OM4 fiber? There are a number of standards under development that will define the use of OM4 fiber for high-speed transmission. Within the TIA, work is progressing on TIA-492AAAD, which will contain the OM4 fiber performance specifications. Similarly, IEC is working in parallel to adopt equivalent specs that will be documented in theinternational fiber standard IEC 60793-2-10 as fiber type A1a.3. What role will OM4 fiber play in next-generation speeds? IEEE continues to work on standards for next-generation speeds, where OM4 fiber is likely to play a large role.For short reach 40 Gb/s and 100 Gb/s applications on multimode fiber, it appears the IEEE 802.3ba Task Force has defined a Physical Medium Dependent (PMD) solution involving already proven parallel optics technology. This will help preserve the low cost advantage of today’s 850 nm VCSEL light sources. These parallel systems will transmit one 10 Gb/s signals on each of 4 or 10 fibers (for 40 Gb/s and 100 Gb/s, respectively). Each 10 Gb/s signal will be aggregated in an arrayed transceiver containing 4, or 10, VCSELs and detectors. 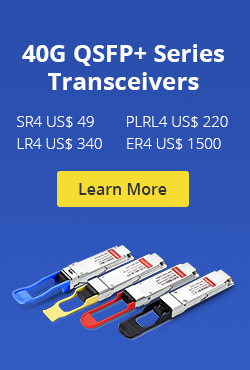 For these parallel systems, IEEE set an objective of a minimum reach of 100 meters (m), specifically on OM3 fiber (OM1 and OM2 fibers will not be supported in the 40 Gb/s and 100 Gb/s standard). Because the 100 m distance is expected to cover only about 85 percent of data center links, the Task force subsequently adopted OM4, capable of reaching 125 m. Although the additional 25 m may seem insignificant, it will support the majority of the remaining access to distribution and distribution to core links in large data centers. Note: FiberStore is a professional fiber optic cable manufacturer. We supply many kinds of 10G fiber cables. They are used for different applications, one must do a thorough research before buying fiber cables for network cabling. If you have some questions with 10G fiber cable, pls contact us in FiberStore website or via sales@fs.com. This entry was posted in Single Mode Fiber (SMF) and tagged fiber optic cable manufacturer, OM3 fiber optic cable, OM4 multimode fiber on September 6, 2013 by Amelia.Liu.